Re-built entirely, of stone, in 1882 by Hodgson Fowler in late Decorated style. 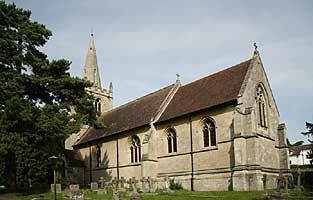 It is on a site to the north of its predecessor, which Throsby in 1790 said was a small church consisting ‘only of nave and chancel with a low tower’. 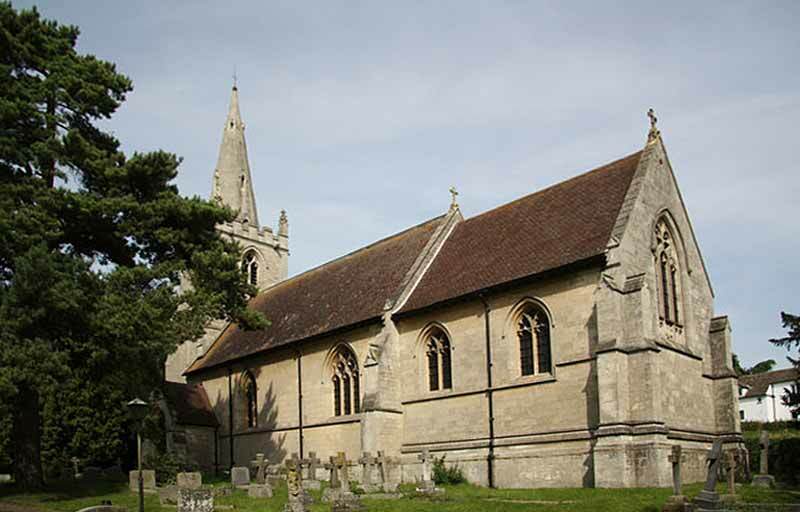 The Victorian church consists of chancel, nave, organ chamber, vestry, south porch, and west tower with pinnacles and spire, containing a clock and four bells. Over the porch is a niche bearing a statue of St. Helen. The style has been described as a variation of ‘Late Decorated’. On the east side of the churchyard there is a lychgate with walls and railings. Inside is a fine incised slab to Hugh Hercy and his wife Elizabeth of 1455, he is civilian hat and armour, she with steeple headdress. The organ by Bevington & Sons (1859) was restored in 1992 when an electric blower was installed.